You are currently browsing articles tagged Engagement. 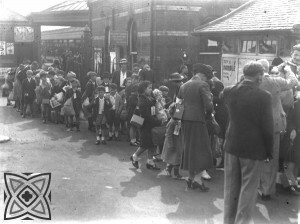 If you’ve seen any recent news updates from the Museum you might know that MERL was recently awarded funding from Arts Council England for a major project in collaboration with Reading Museum, called Reading Connections. The project started in April, and we’ve got lots to tell you about the different things that are going to be happening. There are a number of themes to the project, including world cultures, local collections, craft, and Reading in conflict. This will include collections work and engagement, including events, exhibitions and online resources. In particular there will be a series of events to commemorate the centenary of the start of WWI in 2014. But I shan’t go any further here – to find out more, go along to the Reading Connections blog. (There’s a separate blog for this new project to reflect that fact that it is a partnership with Reading Museum.) If you’ve enjoyed following this blog (which will continue to run, don’t worry! ), do take a look at Reading Connections, and see what’s happening! 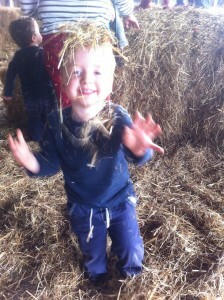 Many of you will no doubt already know that it was Open Farm Sunday yesterday. Along with friends and family I made a somewhat last minute plan to visit one of the places participating in this scheme. The site in question was Sandy Lane Farm, near Tiddington, Oxfordshire. 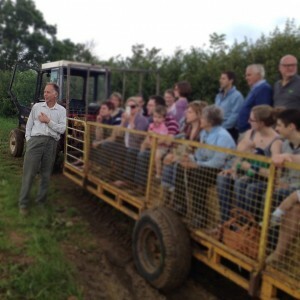 Here we enjoyed a tour by tractor and a series of talks delivered by the farmer, Charles Bennett, as well as indulging in the obligatory cup of tea and slice of cake. There was also much more on offer and, all in all, our visit provided us not only with a great afternoon’s entertainment but also proved to be highly informative. It struck me during the afternoon that there is really no substitute for a genuine ‘onsite’ sense of place. In other words, for me at least, being ‘in’ a place is always going to be more powerful and enlightening than being at a remove. Even the very best interpretation in the world cannot replace the multi-sensory feeling and direct material engagement of actually being there, in a place where rural lives both did and still do play out. In a similar and more obvious vein, a muddy and oily Ferguson tractor that kids can clamber on and pretend to drive is always going to win out over the sanitised but sacrosanct TE20 that we have on display at MERL. On the flip side of this, jumping around in the hay – as my kids and those of my friends did yesterday – is not going to explain how meadows were managed in the past, or enlighten them as to the people or technologies involved in hay production past or present. It takes intervention and an interpretive voice, whether this be the onsite words of the farmer or the gallery-based musings of a curator. Simple as these observations may seem, I think they raise significant questions for museums, most of whose collections are inherently connected with a whole series of other places. So, the next step on from this Project and its process of re-connecting museum-held things to original contexts of manufacture, use, and collection has to be one of deepening contextualisation. It has to be a process of engagement with the people now in (or once from) these original contexts. It has to be a process of reaching out to the rural people whose heritage is housed and represented in the Museum. It has to be an invitation to members of these ‘source communities’ to help MERL (and by proxy the wider public) to better understand the rich depth and complexity of rural history as a whole. It has to deliver inventive and creative mechanisms through which to communciate how the seemingly static holdings of the gallery and store actually connect to a whole host of dynamic and vibrant external sites and places, where rural life continues apace. Thanks to all at Sandy Lane Farm for a great day out and a very nice cup of tea, for giving me food for thought and a fun way to exacerbate my hayfever (yes, I am a farmer’s son who suffers from hayfever!). Oh, and I checked the database and MERL has only one artefact from Tiddington, this being a type of chain used to hold restless cattle that dates to the mid-19th century. Mr and Mrs Bennett and their family appeared to dabble in farming pretty much everything but cattle. However, I still think it would still be interesting to hear what their thoughts are on this object and on the ways in which life in Tiddington has changed since the 1840s when this object was made, the interwar period when it was first acquired by H. J. Massingham, and 1951 when it came to Reading.